National Guardsmen assigned to Operation Guardian Support rescued a Border Patrol K-9 agent and saved the animal’s life. The K-9 and his handler tracked down a group of 11 illegal immigrants before the dog fell victim to the heat. 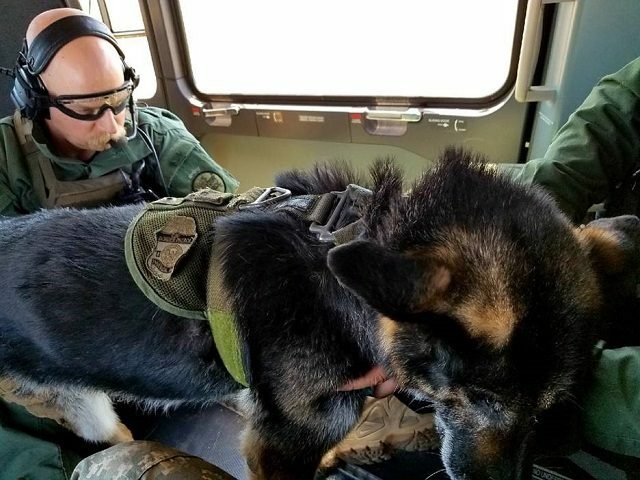 Members of a National Guard helicopter crew responded to a call for assistance from a Border Patrol team after a K-9 agent experienced a heat-related medical emergency. 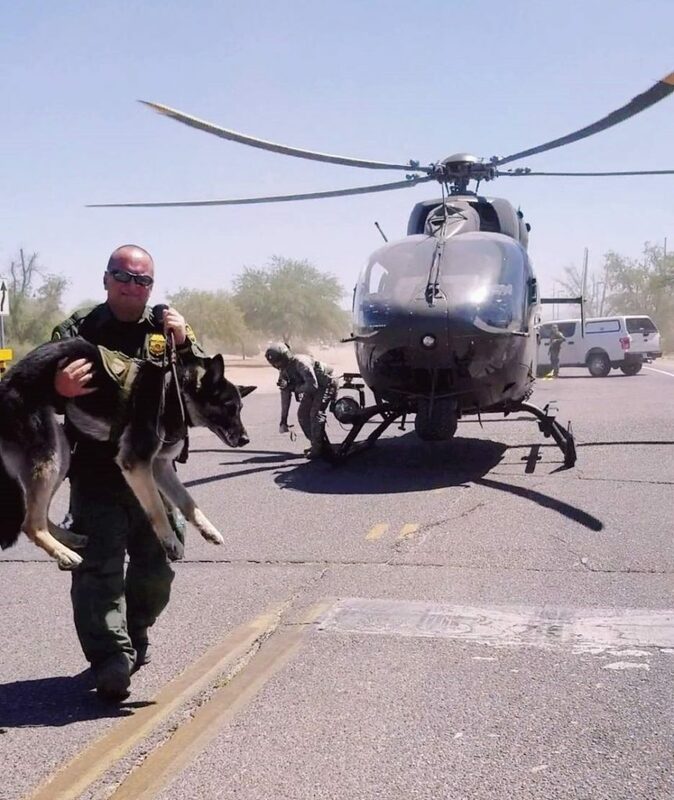 The K-9 became overheated while tracking a group of 11 illegal aliens in the desert and harsh terrain near Arivaca, Arizona, according to U.S. Customs and Border Protection officials. Agents in the field contacted the Tucson Sector’s Tactical Operation Center and reported that a K-9 agent became overheated. 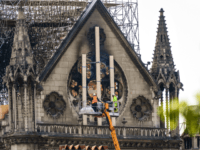 The dog experienced a dangerously high body temperature, uncontrolled breathing, and loss of coordination, officials stated. Agents in the field attempted to cool down the K-9 with iced, but the attempt failed. Officials dispatched a US-72 Lakota helicopter aircrew assigned to Operation Guardian Support to provide assistance and a rescue evacuation. Aircrew arrived on scene within 20 minutes, landed, and safely airlifted the K-9 and his handler to a local veterinary clinic. Doctors diagnosed the dog with heat exhaustion and provided emergency medical treatments. Officials said the K-9 will make a full recovery because of the assistance provided by the guardsmen. So far this year, eight law enforcement K-9s lost their lives in the line of duty, according to the Officer Down Memorial Page (ODMP). During 2017, 24 law enforcement K-9s died while serving their communities. K-9 Agent Lazer, assigned to the Falfurrias Border Patrol Station in Brooks County, Texas, died on June 20, 2016 after becoming overcome by the heat while tracking a group of illegal aliens in the summer heat. Lazer’s record included the apprehension of 93 illegal aliens prior to his tragic death.